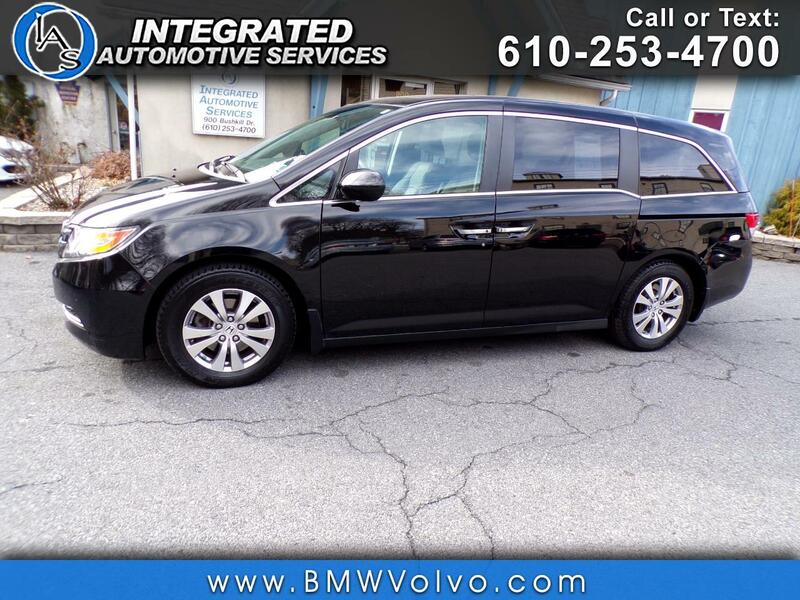 Used 2014 Honda Odyssey EX-L for Sale in Easton PA 18042 Integrated Automotive Services Inc.
EXL, clean Carfax, non smoker, leather interior, Bluetooth telephone, satellite radio, back up camera, a power sliding doors and a power moonroof. Our cars come fully serviced and inspected. We include a 3 month or 3,000 mile powertrain warranty and we also offer extended service contracts. We have great low bank financing rates and loan approval only takes a few minutes. Trade ins are welcomed! Google us to read reviews from some of our many other happy IAS customers. For a fast, easy & no pressure sales experience call, email or visit us today for more details.